Let’s imagine the unthinkable: you die, leaving your spouse behind in retirement. What’s left after you’re gone? That depends upon which FERS survivor benefit you and your spouse selected. If you’re married when you complete your FERS retirement application, you’ll need to elect a survivor benefit option in section D of the form. The survivor benefit option you choose determines how much your spouse will receive from your FERS pension if you pass away first in retirement and his/her benefit eligibility. It’s easy to understand why many people struggle with the decision because there can be a cost associated with a survivor benefit. There are pros and cons no matter which option you pick. Maximum Survivor Benefit: Your spouse receives 50% of your unreduced FERS pension, if you pass away first in retirement. Your monthly FERS pension is reduced by 10%. *Your spouse is automatically entitled to the Maximum Survivor Benefit, unless he/she consents to a Partial Survivor Benefit or to waive the survivor benefit in its entirety. If that’s the case, then your spouse must complete form SF 3107-2, Spouse's Consent to Survivor Election. You will need to attach the form with your retirement application. Let’s look at a simple example to illustrate the cost and benefit of the Maximum Survivor Benefit. Frannie Retiree has an unreduced FERS pension of $1,000 a month, and she elects the Maximum Survivor Benefit for her spouse. This reduces Frannie’s pension by 10% to $900 a month. If Frannie passes away first, her spouse will now receive 50% of the unreduced FERS pension. This means that her spouse receives 50% of $1,000, or $500 a month. 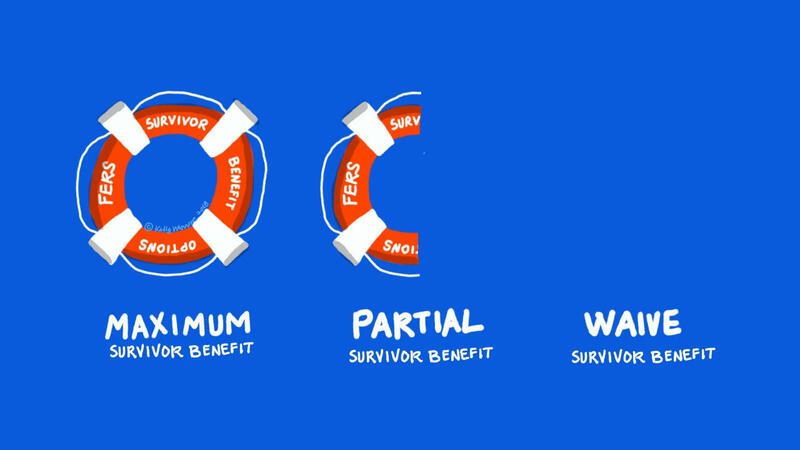 The Partial Survivor Benefit functions the same way except the percentage of benefit is 25%, and the cost each month is 5%. This is where the survivor benefit election can become incredibly important. Continuation in FEHB coverage (health insurance) is only available to a spouse who is eligible to receive a survivor pension. It’s vital that you and your spouse understand the options clearly because a mistake can cost your spouse FEHB coverage after your death. The share of FEHB cost remains the same for the surviving spouse with a FERS survivor pension. This means that the government pays for a bulk of the cost of FEHB coverage for your spouse just like they were doing for you in retirement. If your spouse elected to waive survivor benefit, their FEHB terminates after your death. If your spouse is either a FERS or CSRS active employee or retiree and elected no survivor benefit, upon your death the spouse can elect their own FEHB coverage. The FERS survivor pension is a lifetime benefit for your surviving spouse. Your spouse receives the monthly payments until they die, UNLESS they remarry before age 55. If your spouse does remarry before age 55, the FERS survivor pension and any FEHB coverage terminates. If you pass away first in retirement, and your spouse wishes to apply for the Federal Long Term Care Insurance Program (FLTCiP), they can only do so if he/she is entitled to a FERS Survivor Pension. If your spouse has waived the survivor benefit, they cannot apply for FLTCiP after your death. However, if your spouse already has a FLTCiP policy, then their coverage continues for as long as they pay their premiums, regardless of the FERS survivor pension option you selected. Common Question: I’m retired, what happens if my spouse passes away first? Many people struggle with this decision. Admittedly, it’s often a balancing act between living with a reduced retirement income and providing for your spouse in the future. Weigh the options carefully because it’s a permanent decision. Your spouse may live with the outcome for a very long time. CAN YOU NAME ALL 7 FERS BENEFITS? As a FERS employee, you have 7 powerful and distinct benefits that can help you stay secure in retirement. 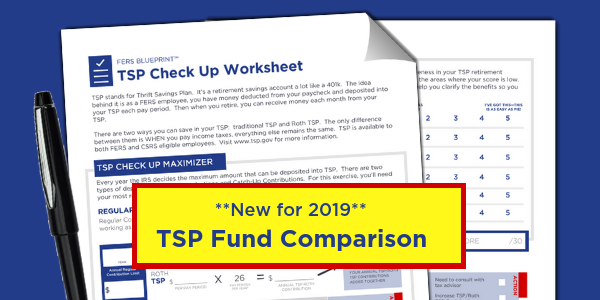 Get this free benefit guide, The 7 Superheroes of FERS Retirement Benefits, to use as a handy one-page reference guide for retirement planning.